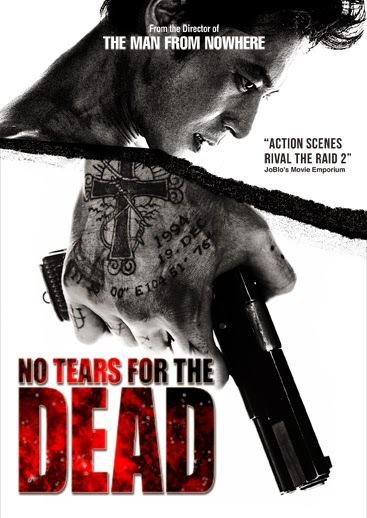 CJ Entertainment has send us over a Blu-Ray copy of their latest release "No Tears for the Dead" to give away to one lucky person. The film stars JANG Dong-gun (Friend, Warrior’s Way), KIM Min-hee (Helpless, Very Ordinary Couple), Brian Tee (The Wolverine, upcoming: Jurassic World), KIM Hee-won (The Man from Nowhere, My Way) and KIM Joon-seong (Innocent Blood, Man-choo). Want to win a copy. You can send an email to facontest@gmail.com. Please include "No Tears for the Dead" in the subject line. Contest ends on Feburary 23rd. Abandoned by his mother shortly after immigrating to America, Gon (JANG Dong-gun) is raised by the mafia and grows up to become a cold-blooded hit man. Though usually flawless in taking out his targets, Gon makes a terrible mistake of killing an innocent young girl. A flood of guilt takes over his life and the situation becomes worse when his boss assigns him the job of killing the young girl’s mother. Gon’s new target, Mogyeong (KIM Min-hee), is a risk manager at an investment firm and has buried herself in work to bury her grief. She is completely unaware of her role at the heart of a dangerous conspiracy. Finally, she meets the man who wants to tell her the truth behind the death of her child.